After a quick turn around at home, we were off to Oklahoma for the TC Summit and then Philadelphia for a wonderful missions convention at Trinity AG, West Chester. 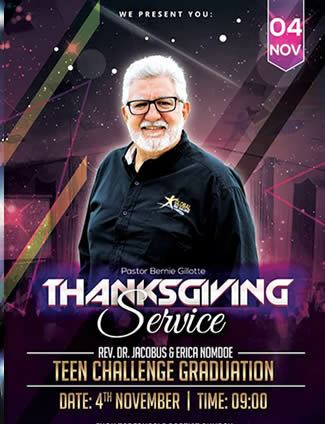 We now greet you from TC Western Cape SA, celebrating the 20 years of full-time ministry of Dr. Jacobus and Erika Nomdoe, our GTC Africa Regional Director and founder of the Hope Revolution. 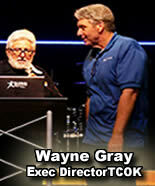 So blessed to join Wayne Gray with hundreds of students & staff from centers across Oklahoma. What an incredible worship team--HUGE "shout out" to Joshua and Kiara West and the team for their musical excellence -- and more importantly Spirit-led, anointed worship. We are excited to be with our dear friends Jacobus and Erica Nomdoe in Cape Town October 29 - November 6th. It will be an exciting time of m*nist*y and outreach with amazing folks. Rejoicing in all that God has done, is doing and what He has planned for this wonderful man and woman of God. Please pray that we will be able to bring the Promise of Hope. If they cannot find hope, may we find them with hope. Believe for powerful ministry, intercession, street meetings and outreach with the Hope Revolution team. 23 In that day you will not question Me about anything. Truly, truly, I say to you, if you ask the Father for anything in My name, He will give it to you. "Until now you have asked for nothing in My name; ask and you will receive, so that your joy may be made full. I once overheard TC staff sharing as a student lamented that he really did not know how to pray. The staff laughed and said, "Well, you are really good at complaining - about almost everything! DID YOU EVER CONSIDER WHAT IT IS LIKE WHEN YOU COMPLAIN ABOUT HOW HARD YOUR LIFE IS? The student looked at him somewhat baffled. "Well," the staff continued, "That's what prayer is -- complaining -- to God -- but the difference is, you're finally complaining to Someone who really listens and cares. 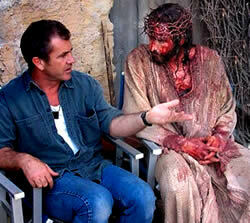 In fact you finally have the one who can do something about it." While that seemed to satisfy the student and I may not entirely agree with the theology, it is an interesting insight. The truth is, though, prayer is not about complaining. It is also not about long poetic speeches, theological formulas, repetitions, or pretty words. It is about LOVE -- about relationship. It's about spending time with the God who loves you more than you can ever imagine. Prayer reminds us of Who is in charge. When you face a major crisis, you don't turn to just anyone. You don't consult on significant legal matters with the janitor. At Walmart, we go to the one with the final authority. You take your most pressing concerns to someone who outranks you in the solutions department. The same is true in prayer. You don’t pray to let God know what’s going on. He’s way ahead of you on that one. You pray to transform “my will be done” to “Thy will be done.” And, since he’s in charge, He knows everything. We don’t pray just to let God know what’s going on. If you only pray when you are in trouble, you are in trouble already! Don’t see your struggle as an interruption but an invitation to engage with the One who holds all the answers for your life. No one said the road would be easy or painless. Prayer is our chance to roll our burdens over onto to God as He lightens our load. In Prayer, we find both the power we need to overcome and His peace as we wait for God's answers to come. So, pray…TODAY! 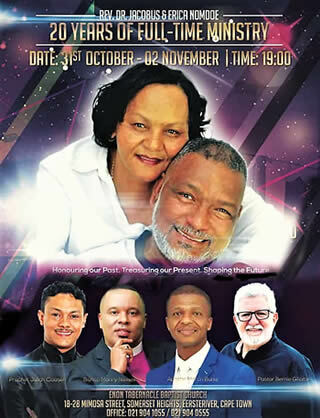 We are excited to be with our dear friends Jacobus and Erica Nomdoe in Cape Town October 28 - November 8. 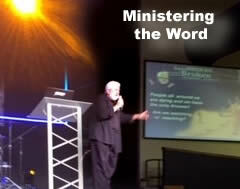 It will be an exciting time of m*nist*y and outreach with some amazing folks at Enon Tabernacle. Rejoicing in all that God has done, is doing and what He has planned for this wonderful man and woman of God. Please pray that we will be able to bring the Promise of Hope. If they cannot find hope, may we find them with hope. Please pray for the outreach here in Capetown, that many will hear the Good News of God’s love and commit their lives to Christ. The crew here in South Africa is amazing. On the eve of our arrival, one of the main prosecutors was brutally murdered. Gang members shot him in the head at his son's school and then shot his son. With tensions high on the street, the police have asked Dr Nomdoe & Teen Challenge to help. We went out for outreach today with the "Hope Revolution" team and it was an amazing time of ministry. We will head back out tomorrow. We are really excited to return to “God’s Mountain” to minister in chapel on Wednesday evening, November 7. Now known as Pennsylvania Adult and Teen Challenge, it is the place where we spent a wonderful decade. Praying that God will use us to encourage and challenge the men in the program. 3) USA ELECTIONS TUESDAY - Pray & Vote ! Please pray for Tuesday’s USA elections and don’t forget to vote. Pray that believers will take their civic duty as U.S. citizens to heart and vote. It is a privileged opportunity to vote. So, rather than passively complaining about outcomes, let’s exercise our right to vote. Pray that God will grant wisdom to voters who are facing difficult choices on multiple local, state, and federal issues. Significant elections include all 435 seats in the House of Representatives, one-third of all seats in the Senate, 36 state governors, and three U.S. territory governors. Also, many issues of consequence will be decided on local and state levels. According to James 1:5, a prayer for wisdom is one God will respond to generously. Pray that the elections will go peacefully and that divisions will be minimized. Pray for the safety of poll workers and voters. Pray that any plans for evil would be halted by God. Pray for the integrity of our democratic process. Pray that Christ-followers will represent Christ’s character in their conversations and on social media. We live in a polarized society. Passions run high in a political season. Things get said and posted that are not Christ-like. Let everything that you say, or post, be under the influence of the Holy Spirit. Pray that the candidates who are elected will uphold the foundational values of the gospel. Pray that those who profess faith in Christ will live, act, and vote accordingly. Pray that those who are hostile toward Christianity will be moved toward genuine faith in Christ. Pray for the newly elected leaders to rely on God’s wisdom for the decisions they will make. Robert Cunningham once encouraged readers of the Pentecostal Evangel, “Pray, and vote — then continue to pray for those who are elected. This is the Christian’s patriotic duty.” A half-century later, his advice rings true. Pray, vote, pray again. Please pray for the tens of thousands of people who have experienced such upheaval and loss through the recent storms, tornadoes and hurricanes over the last weeks. Praying that the many ministries that that are serving in hardest hit communities will have many opportunities to share Good News of God's grace. 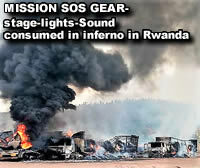 There was a huge explosion, a blazing inferno and the containers, the entire stage, lighting, and sound equipment were consumed. All of the festival gear valued at approximately US$1.5 million has been lost and the system must be reconfigured in time for the June outreach in Tanzania. A truck fire will not stop momentum, but they need your prayers and as the Lord leads -- financial help..